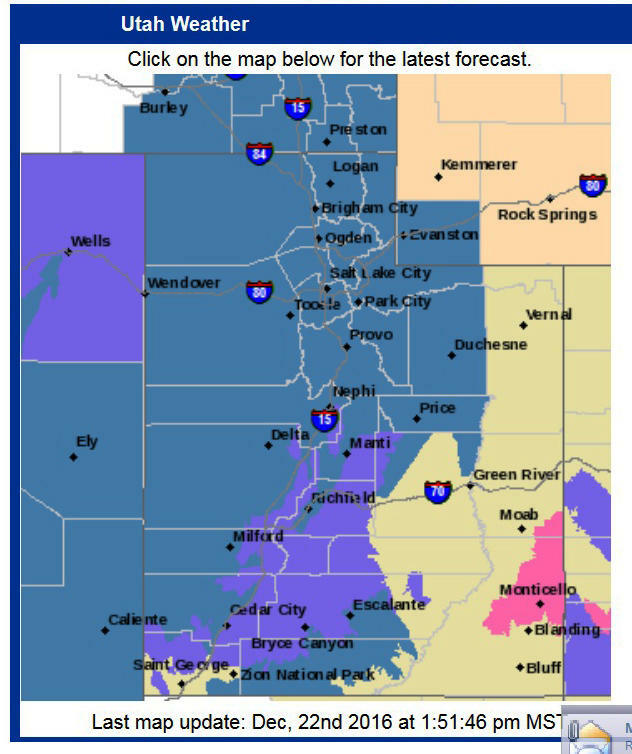 Winter Storm Watch covers much of Utah through Sunday. Shown in Dark Blue area. 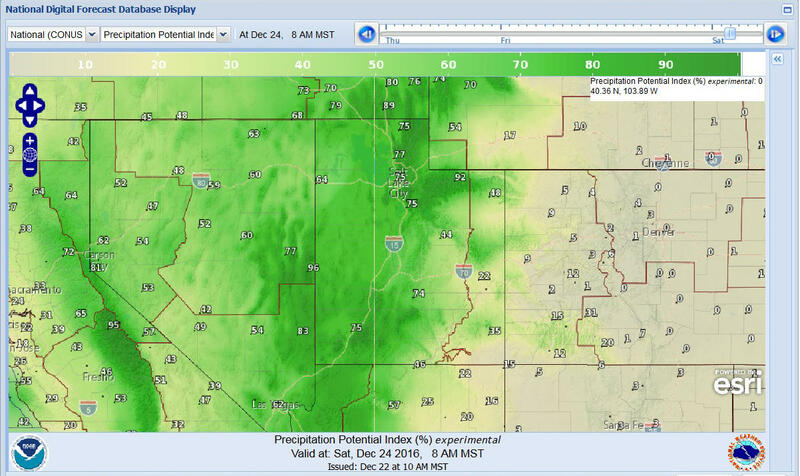 Signifcant precipitation is expected with the 48-hour storm period in the valleys and mountains. Winter Storm Watch covers much of Utah through Sunday. Pete Wilenski is a lead forecaster with the National Weather Service in Salt Lake City. He says valley snow totals will be 5 to 10 inches. He says the storm will bring 1 to 3 feet of snow to the higher elevations. He says the first snowy roads will be in the Wasatch Front canyons and Soldier Summit in Carbon County. Wilienski says it’s hard to say whether these storm cycles will continue into the New Year but he says so far there’s been much more activity compared with last winter.